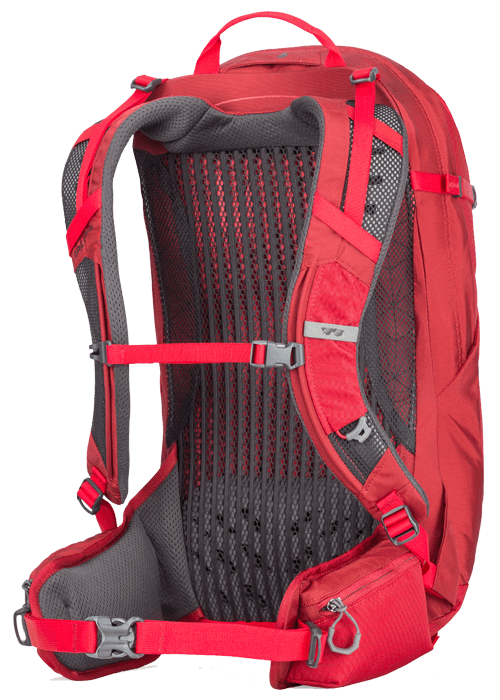 EVAP moisture wicking technology provides the structural benefit of a tensioned mesh backpanel, but wicks moisture to the backside of the mesh to allow quick evaporation and noticeably cooler on-trail performance. system uses unique leaf-spring lower back lumbar design to fit perfectly on your lower back, while keeping the ventilated backpanel low profile to maximize interior capacity. with top tier EVA foam and ventilated design for long lasting comfort.